In operation for more than 45 years, we attribute our success to our ongoing commitment to excellence and the hard work and dedication of our employees. Looking to the future, we anticipate further growth and expansion as we work toward another Forty-Five Years of Excellence. UNIVERSITY PARK PLAZA CORPORATION (UPPC), is located in State College, Pennsylvania, and was founded in 1956, by William W. Litke. An educator, distinguished lawyer, respected judge, and active member of the community, William Litke's life was a legacy of commitment to education, justice, and community. In 1959, UPPC built its first property, the Hamilton Square Shopping Center. A hillside mined out and developed into a retail plaza of approximately 60,000 square feet, Hamilton Square has been home to our corporate headquarters for over forty-five years. In the heart of State College and just blocks away from the Penn State University, it was one of the first retail plazas in the State College area. Today, it sits in one of the fastest growing markets in Central Pennsylvania. In the mid-1970's, Colonial Village Plaza was purchased by the company. Located in Shamokin Dam, Pennsylvania, between Lewsiburg and Selinsgrove in Snyder County, the plaza sits along heavily-traveled Routes 11/15, more commonly known as the Susquehanna Trail. 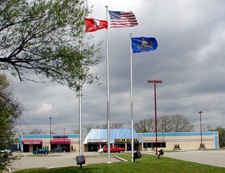 Lakeside Commons in Edinboro, Pennsylvania, was purchased in 1990. Located in teh northwestern corner of the state, just south of Erie, the center has been extensively renovated since its purchase. Converted into a retail and office complex, the center has multiple plaza-style storefront spaces and a newly renovated office wing. 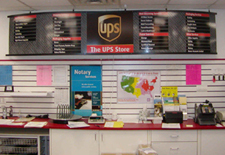 The UPS Store®, Store #0069, was purchased in 1995. Among the many serices available are copying, printing, binding, laminating, shipping, notary service and bill-pay. The store also sells postage, office supplies, packing and moving supplies, and personalized rubber stamps. The most recent addition to the UPPC family of businesses is the East Coast Health and Fitness Center. 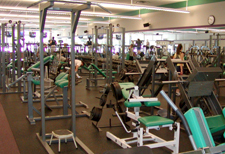 Major renovations in early 2001 included a hi-tech sound and video system and a three-tiered cardio equipment deck. East Coast offers personal training, day-care, massage, tanning, fitness assessment, group exercise classes, and much more.